The track titles are not given on the release. Track durations do not appear on the release itself but entered precisely. Matrix / Runout (CD1): UPFRONT20-1 . 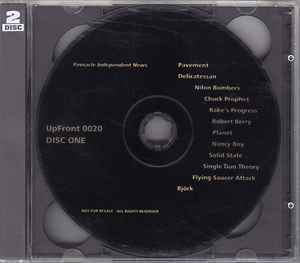 Matrix / Runout (CD2): UPFRONT20-2 . Matrix / Runout (both discs): Mastered by Mayking .